This week, the Boulder County Healthy Eating Active Living Coalition launched the “Make the Switch” campaign aimed at reducing childhood obesity, diabetes, dental caries, and heart disease by helping parents switch from giving their children sweetened drinks to healthier options of water, low-fat milk, and small amounts of 100% juice. The liquid sugar from sugar-sweetened drinks increases fat deposits in the liver, which leads directly to type 2 diabetes and heart disease. People who drink 1 or more sugary drinks per day have a 26% higher risk for developing type 2 diabetes than those not drinking sugary drinks or who drink less than 1 serving per month. 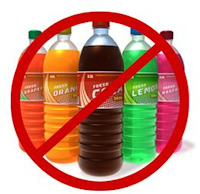 “Many assume this isn’t a concern here in Boulder County, but children in our county are drinking sports and energy drinks, fruit drinks, flavored milk, and sweetened coffee and tea drinks that are loaded with sugar. The recommendation for children is that they don’t drink any sugary drinks,” said Laws. Sugary drinks are one of the leading contributors to childhood obesity and type 2 diabetes and are the single largest contributor to daily caloric intake for teens in the United States. The U.S. beverage industry spends billions of dollars marketing carbonated beverages, with a significant portion of marketing aimed directly at youth ages 2-17. Those messages are more specifically targeted at communities of color and children of color. In Colorado, 1 in 5 children between the ages of 1-14 are drinking 1 or more sugary drinks per day. The rate is even higher among Latino/Hispanic children in the same age group, in which 30% are consuming a sugary beverage at least once per day. “Parents have told us they need help making the switch to healthy drinks. When their child is having a tantrum because they want a sugary drink, it’s difficult to say ‘no,’ especially when sugary drinks can seem less expensive than healthy options,” said Chana Goussetis, Boulder County Public Health communication manager. “The campaign aims to give parents tools and incentives to help give their kids healthy drinks.” The campaign offers prizes for families that take the pledge to switch to healthy drinks. It also includes the option for people to receive tips via text message to help them gradually transition kids to healthy options. The campaign website is www.MakeTheSwitchBoulderCounty.org.The campaign will end August 26, 2015.